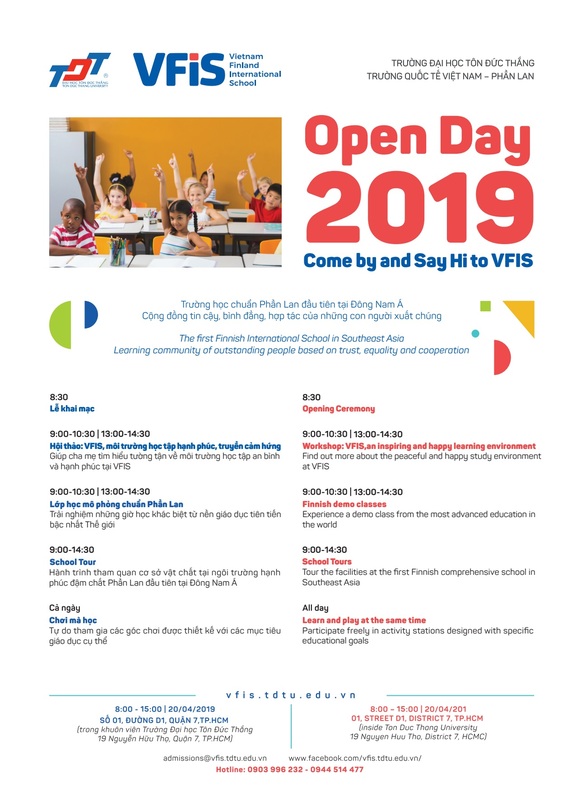 VFIS Open Day is an event for the whole family to experience an inspiring educational environment of Finland in Vietnam. In Open Day Event, we would like to invite your children to join our Demo class with Finnish teachers and learn about different subjects including Home-economics, Crafts and Interdisciplinary Class. Please register here and describe your child/ children as detail as possible to help us arrange the event better. Note: This class is for primary students only (grade 1 to grade 5). There are limited seats for Demo Class so we will have priority for the parents who register via link early with the school. You will get confirmation email about the class after signing up with us.